Pella Regional Health Center is a regional integrated health-care system that includes Pella Regional Health Center, retail pharmacies, retail medical equipment and supplies providers, and physician clinics in Fairfield, Fort Madison, Keokuk, Mediapolis, Mount Pleasant, Wapello and West Burlington, Iowa. 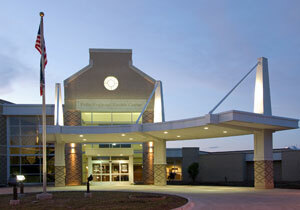 Pella Regional Health Center is a 378-bed regional medical center offering acute and intermediate care to residents of southeast Iowa, west-central Illinois and northeast Missouri. Dr. Agarwal has affiliation and privileges at Pella Regional Health Center in Pella, IA since 2013 and is available to see patients there on 4th Thursday of every month. Please call 1-888-226-0990 to schedule your appointment.